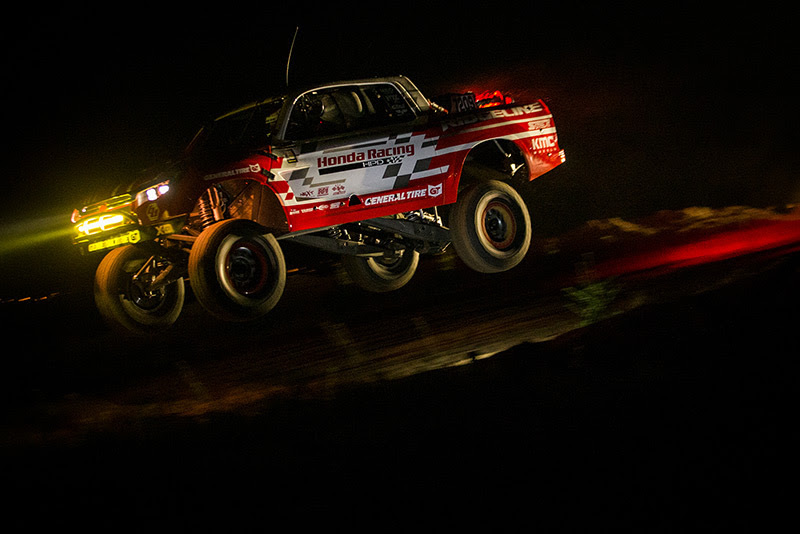 Team Honda Racing Ridgeline wins their season opener at the Best In The DesertParker 425 in Parker, Arizona. After coming off of a 2018 season best, Team Honda continues the momentum by backing up their win from last year at the grueling Parker 425. 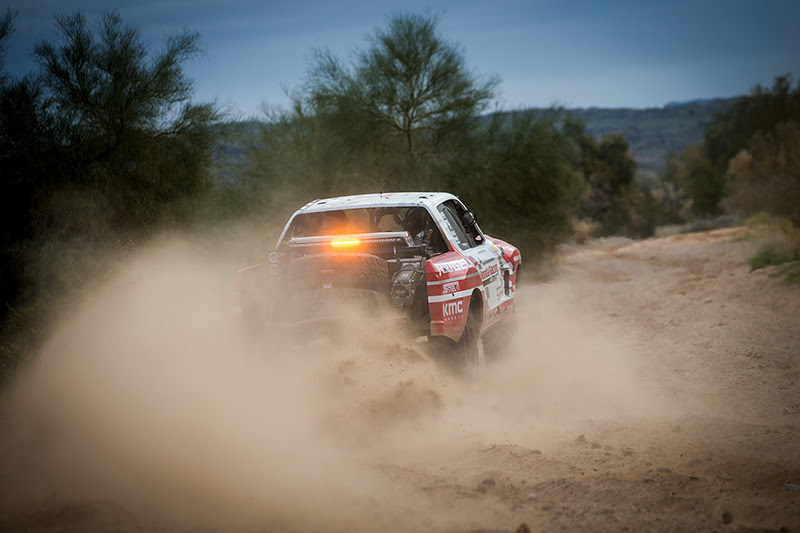 This clean air allowed the Baja Ridgeline to maximize the Honda Performance Developmenttuned 3.5L twin turbo power to pull away from their class of competitors. Proctor and Weller continued to lengthen their lead and click off miles heading into their first full pitstop at the end of lap one. After a regularly scheduled pit stop of 55 gals and fresh rear General Tires, the Ridgeline headed back out onto lap two. 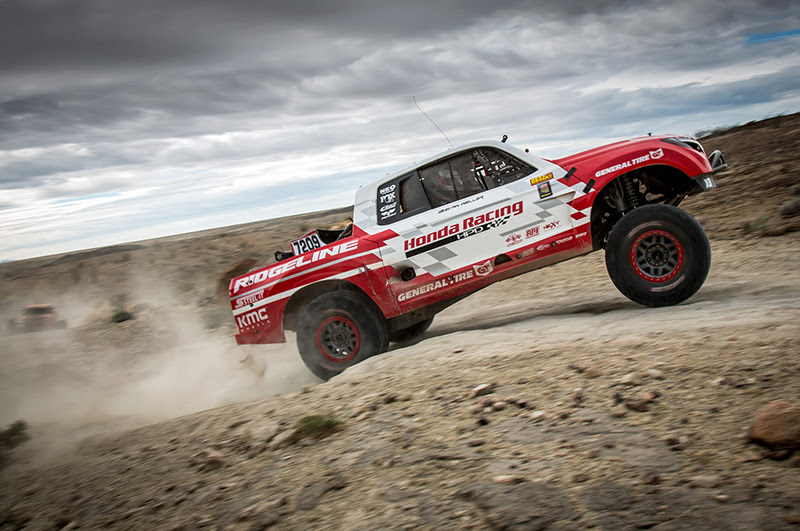 For all the latest on the Honda Ridgeline Off-road team go to: http://www.hondaoff-road.com/or HondaOffRoadRacingon Facebook, Instagram: @HondaOffRoadRacingor Jeff Proctor on Personal Instagram: @proctor_race. Jeff Proctor grew up surfing in Southern California and like most American kids played traditional stick and ball sports as well. The allure of racing was sparked from his competitive nature, but it wasn’t until starting his first business, an action sports clothing brand in his college dorm room, that Proctor was able to buy his first motocross bike and begin his lifelong journey in off-road racing. Today, Jeff has embarked on his most ambitious chapter of his race career – Partnering with American Honda on a Honda Performance Development (HPD) – Powered Factory Off-Road Racing Initiative. Jeff will not only pilot a custom Honda unlimited Twin Turbo off-road race vehicle but also direct and oversee the team’s entire race operation. Jeff will lead his team and Honda to the podium, bringing more high-level race teams to the exciting sport of off-road racing. About Honda Performance Development, Inc.
(HPD) is Honda’s racing company in North America and is a wholly owned subsidiary of American Honda Motor Co., Inc. Founded in 1993, HPD is the technical operations center for Honda’s high-performance racing programs. HPD specializes in the design and development of race engines, chassis and performance parts, and technical/race support. We are proud to also offer parts and race support to Honda and Acura grassroots motorsports racers, and are expanding our support of racing series and programs that make Honda racing products available to all racing styles, from karting and Quarter Midgets to the highest levels of pro racing. Subaru Driver Bucky Lasek Earns Silver at X Games Austin Rallycross!